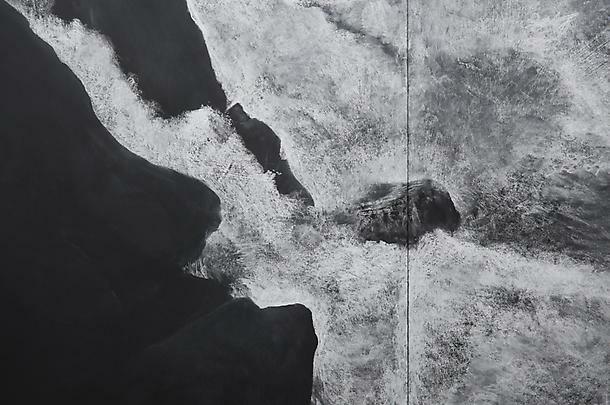 Marian Goodman Gallery is pleased to announce an exhibition by Tacita Dean, which will open on 1 February and continue through to 9 March. 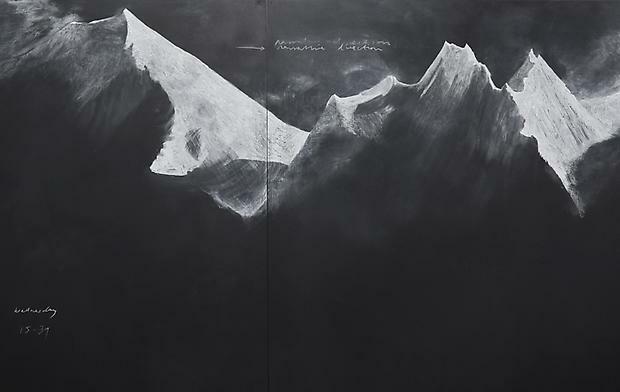 The exhibition will be the first showing of Dean’s recent drawing project, Fatigues, made for documenta (13), outside of Kassel and will be augmented by a one–person show of her works on paper at the ADAA Fair (from 6 – 10 March). 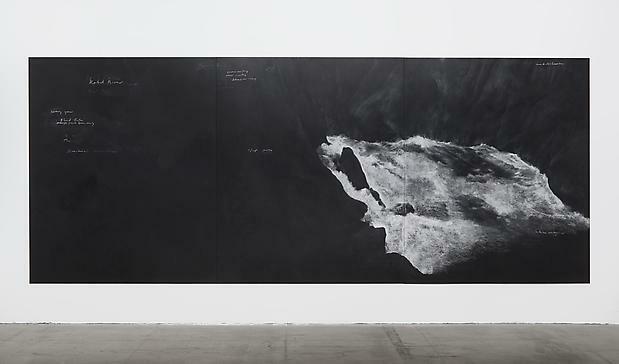 Fatigues, 2012 are a series of dramatic, large-scale chalk on blackboard drawings, made by Dean over many weeks on the site of a former tax office in Kassel. 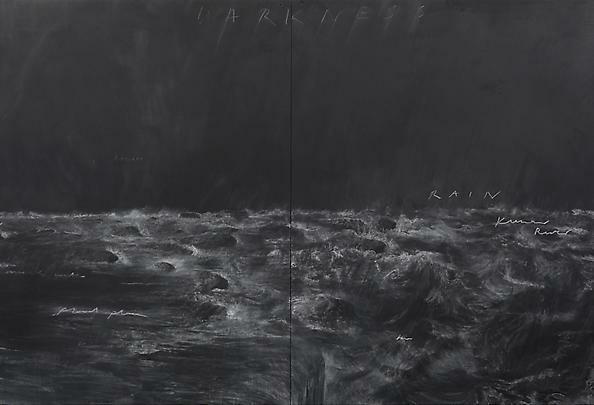 Dean used the two-story space to create a natural sequence of events within the narrative of the drawings. 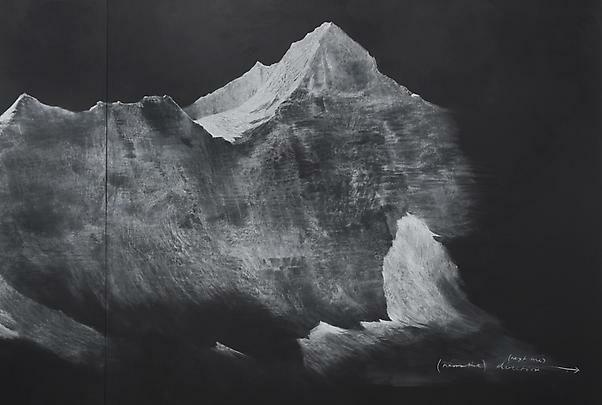 Beginning on the upper-story with the soaring and infamous mountain peaks of the Hindu Kush and the glacial source of the Kabul River, she used the gravity of the space to show the river descending towards Kabul as the snows melt and the rising water bring the annual floods that are both welcomed and feared. 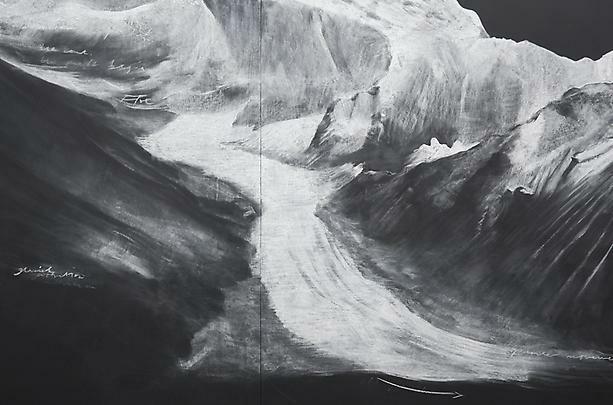 Dean is recreating the installation in New York by using the length of the gallery en lieu of the staircase with the mountain range in the North Gallery and the deluge in the South. 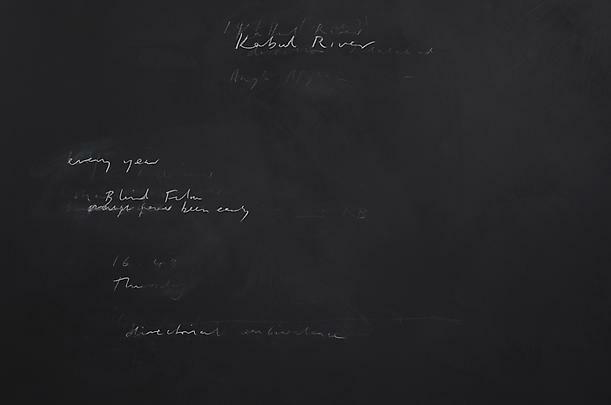 The drawings mark a return to blackboards after a ten year gap, which, Dean explains, came about when her attempt to make a ‘blind film’ in Afghanistan, directing a local cameraman from afar, came to nothing. It was her chance discovery of the jingoistic poem, ‘Ford o’ Kabul River’ by Rudyard Kipling, about the drowning of British hussars in the Second Anglo-Afghan War, combined with footage of a flash flood in Kabul (from the damaged Afghan film) which led Dean to think about the passage and power of the Kabul River. The title, ‘Fatigues’ is both reference to army uniform and Dean’s state post-Turbine Hall. 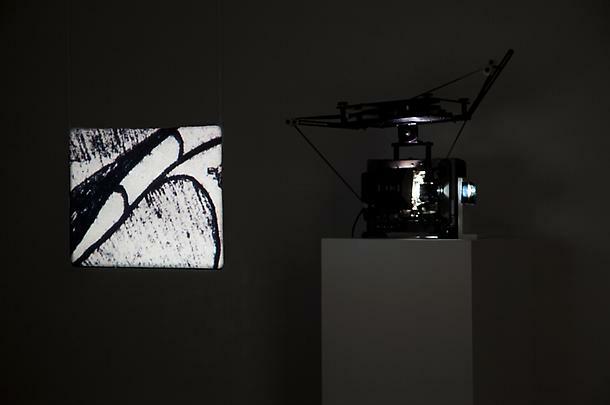 In the North Gallery Viewing Room, Dean will show her short 16mm film The Friar’s Doodle, 2010. Made originally for the Abbey of Santo Domingo in Silos, Spain, it uses a rostrum camera to film in macro a photocopy of a doodle/drawing given to Dean by a Franciscan friar, Martin Jeffs in the ‘70s when she was a schoolgirl. Full of ducts, cul-de-sacs, stairs, passageways, bulging hearts and crucifixes, the doodle has no exit nor does the film allow the spectator to leave or see the doodle as a whole. 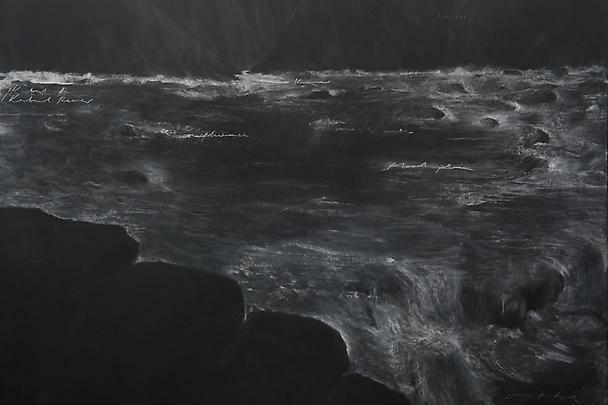 It is a film concentrated on a drawing and on a mind. 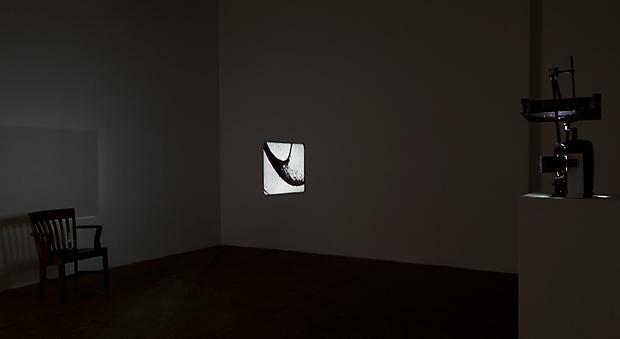 The exhibition runs in conjunction with two further US presentations of Dean’s work, both taking place in Philadelphia. Arcadia University Art Gallery with support from The Pew Center for Arts & Heritage through the Philadelphia Exhibitions Initiative will premiere her new 35mm film, JG, a sequel in technique to her 2011 Turbine Hall project, FILM, inspired by the novelist J.G. 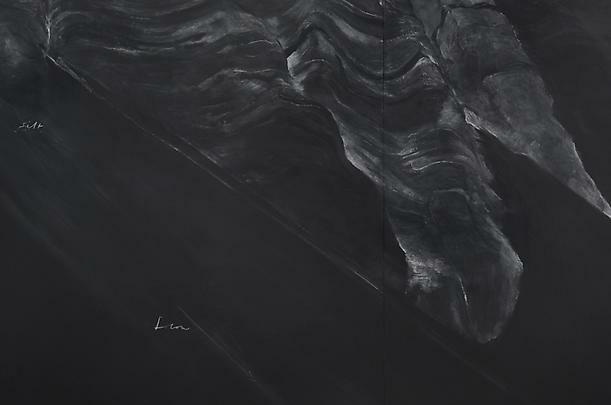 Ballard and artist Robert Smithson and shot in the saline landscapes of Utah and Southern California, from 7 February – April 21, 2013. Merce Cunningham performs STILLNESS (in three movements)… (six performances; six films), 2008, will be on view at the Fabric Workshop and Museum from 2 February – 17 March, 2013. 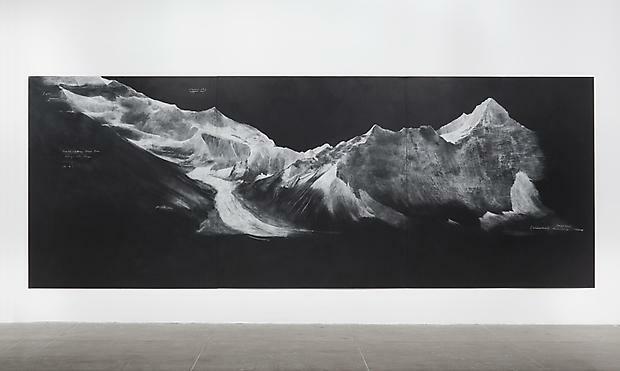 Tacita Dean was born in Canterbury, England in 1965 and lives in Berlin. She received the Kurt Schwitters Prize in 2009, and is the recipient of numerous other awards including the Hugo Boss Prize (2006). 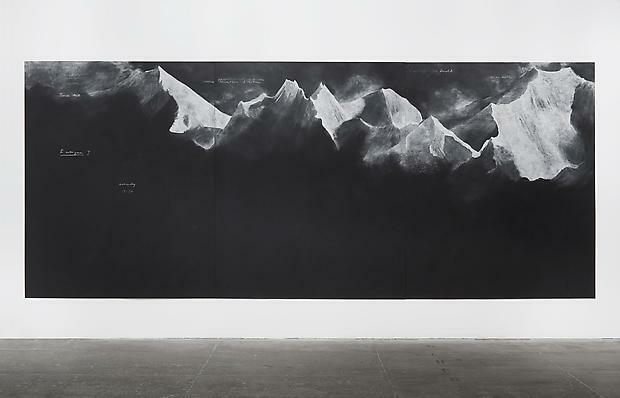 Her most recent exhibitions include documenta (13), Kassel; Tacita Dean: Five Americans, New Museum, New York; Tacita Dean, Norton Museum, West Palm Beach, Florida (all 2012); The Unilever Series: Tacita Dean, Turbine Hall, Tate Modern, London; Tacita Dean – The Line of Fate, Museum Moderner Kunst Stiftung Ludwig – MUMOK, Vienna (both 2011); The Friar's Doodle, Museo Nacional Centro de Arte Reina Sofia/Abadia de Santo Domingo de Silos, Spain (2010); Fondazione Nicola Trussardi, Milan; Australian Center for Contemporary Art, Melbourne; Musée d'Art Contemporain de Montreal; Sprengel Museum, Hannover (all 2009); In My Manor, Villa Oppenheim Galerie für Gegenwartskunst, Berlin; Merce Cunningham performs STILLNESS (in three movements) to John Cage’s composition 4’33” with Trevor Carlson, New York City, 28 April 2007, a 6-film installation shown at Dia: Beacon, NY (both 2008); Tacita Dean, Hugo Boss Prize Exhibition, Solomon R. Guggenheim Museum, New York (2007); Tacita Dean: Filmed Works, Miami Art Central, Miami (2007); and the survey, Tacita Dean: Analogue: Films, Photographs, Drawings 1991-2006 at Schaulager, Munchenstein/Basel, Switzerland (2006). 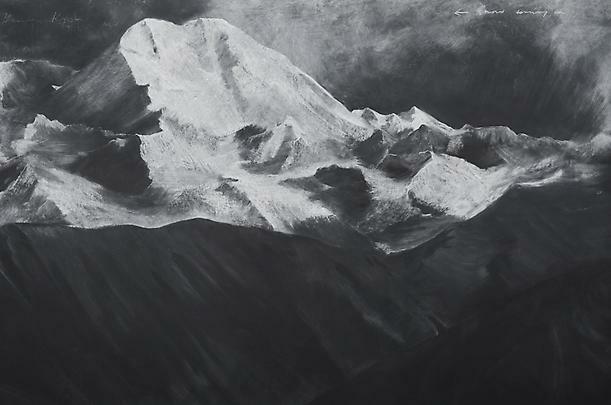 Please join us at the opening on Friday, 1 February from 6-8 pm.